In 205 BC, Eratosthenes successfully determined the circumference of the Earth by measuring the length of the shadow cast by a rod. He did the measurement in Alexandria and timed it to coincidence when the Sun is directly overhead Syene. 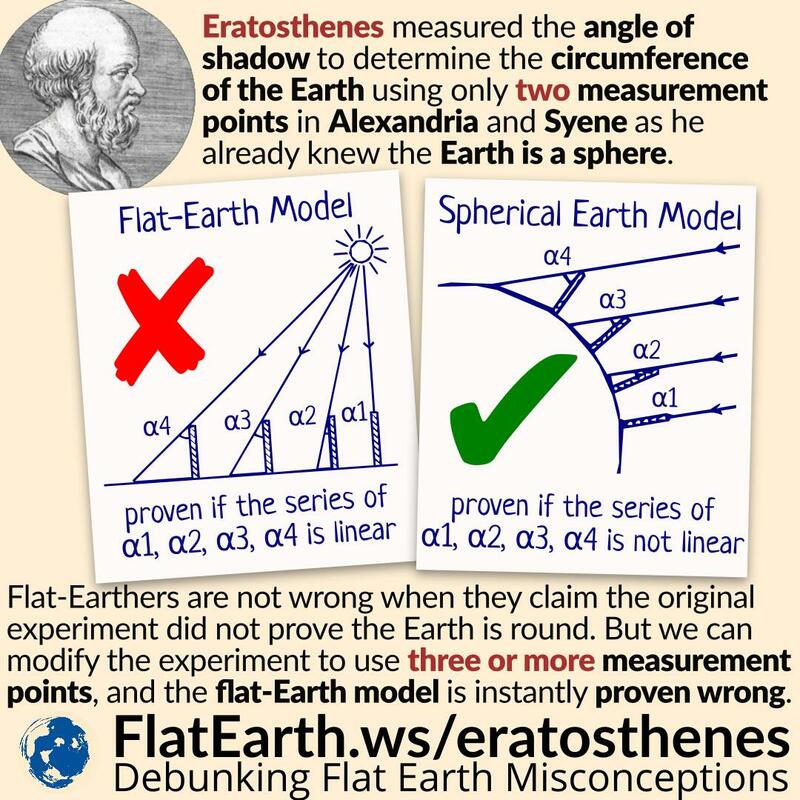 2222 years after that, some flat-Earthers tried to refute the Eratosthenes experiment. They say the experiment can be applied to the flat-Earth model. Assuming the Earth is spherical and the Sun is very far, we can determine the circumference of the Earth (right picture). 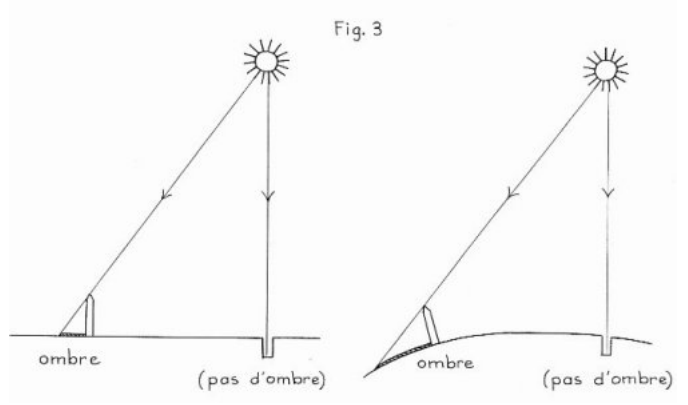 Assuming the Earth is flat and sunrays are not parallel, we can determine the distance to the Sun (left picture). Using the flat-Earth model, they concluded that the distance to the Sun is only 3000-5000 km (1850-3100 mi). Eratosthenes did his experiment by taking measurements in two locations: Alexandria and Syene. But we can easily modify his experiment by making measurements in three or more places, and the flat-Earth model is instantly proven wrong. Using the flat-Earth model, the length of the shadow will have a linear response. On the other hand, using the spherical Earth model, the length of the shadow has a non-linear response. We can also observe that in near-polar locations, the experiment will result in a very long shadow. 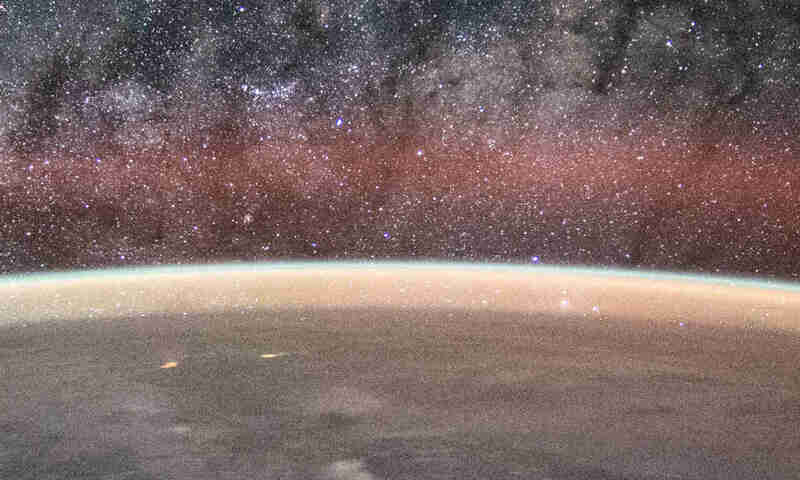 The flat-Earth model cannot explain this phenomenon. Furthermore, the flat-Earth model will not produce a consistent result. It is not a coincidence that not a single flat-Earther can give us the exact distance to the Sun. Their outcome will vary a lot even though this experiment does not demand high precision and accuracy. From this fact, we can easily conclude the Earth is spherical, not flat. You can do the calculation yourself without any traveling by using the data provided by Eratosthenes.eu. This website attempts to pair two schools from around the world and help them redo the Eratosthenes experiment as a teaching aid. Their data is publicly available and can be used for our purpose.